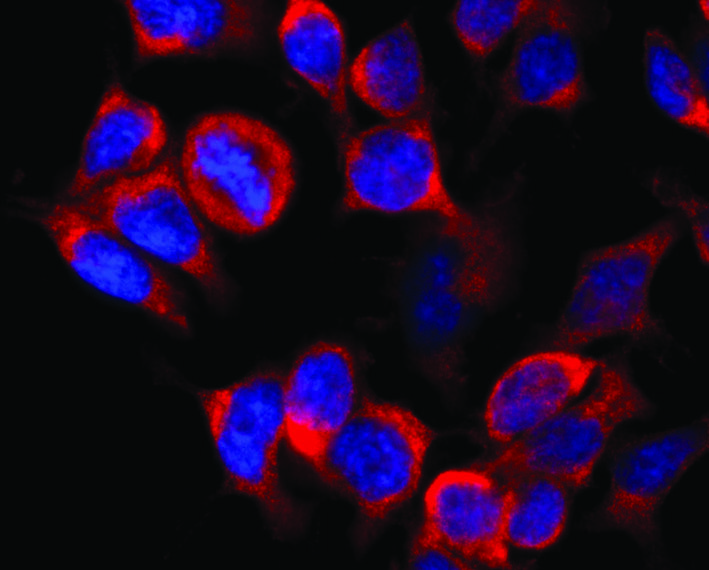 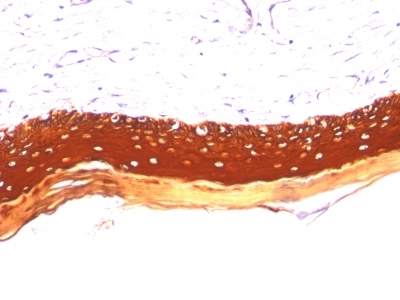 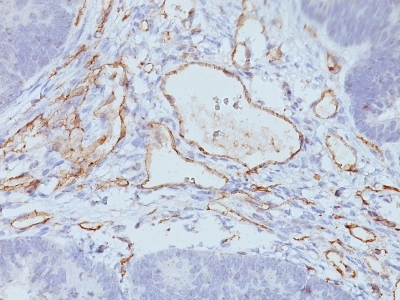 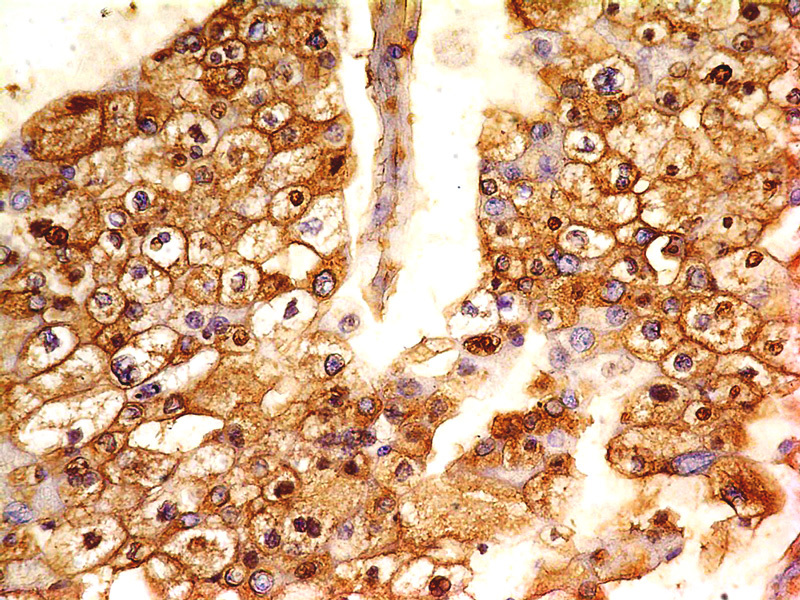 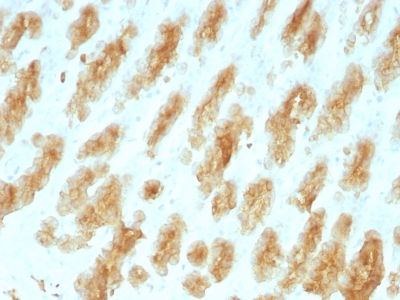 Formalin paraffin human Skin stained with Cytokeratin, LMW Monoclonal Antibody (KRTL/1077). 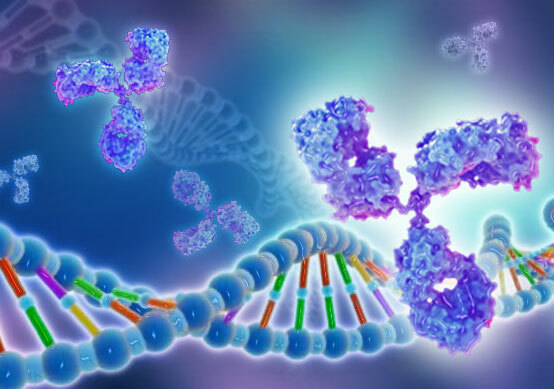 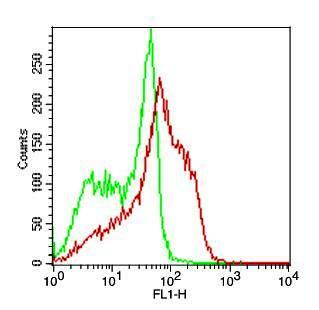 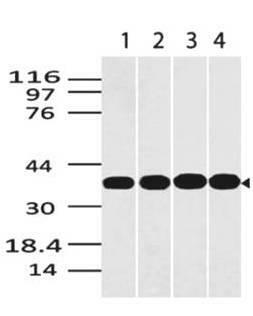 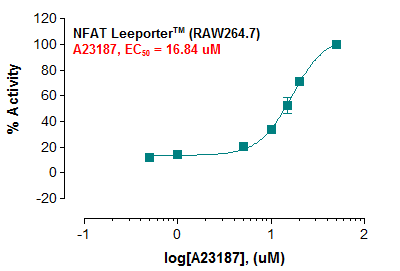 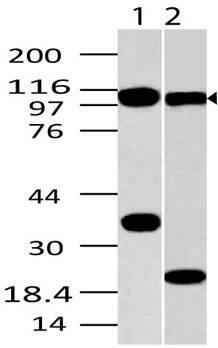 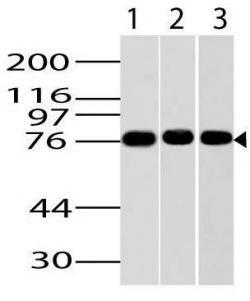 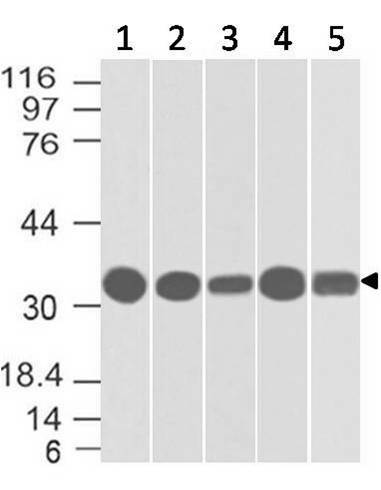 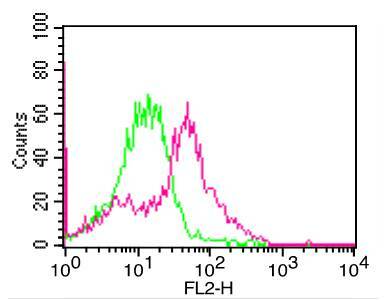 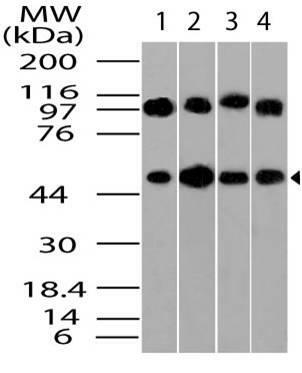 This MAb recognizes the 56.5kDa (CK10); 50kDa (CK14); 50kDa (CK15); 48kDa (CK16); 40kDa (CK19) keratins of the acidic (Type I or LMW) subfamily. 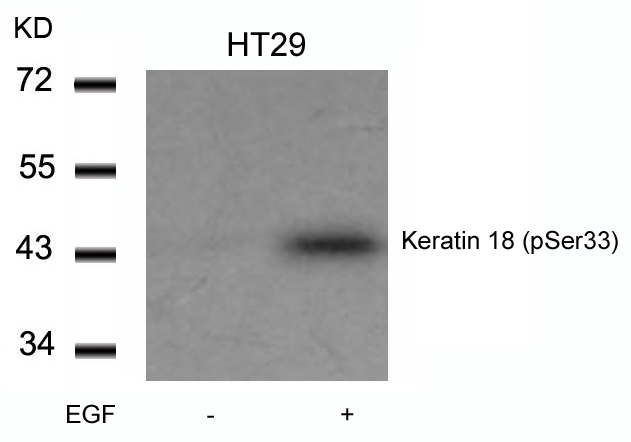 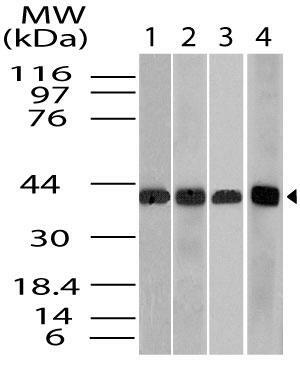 Twenty human keratins are resolved with two-dimensional gel electrophoresis into acidic (pI 6.0) subfamilies. 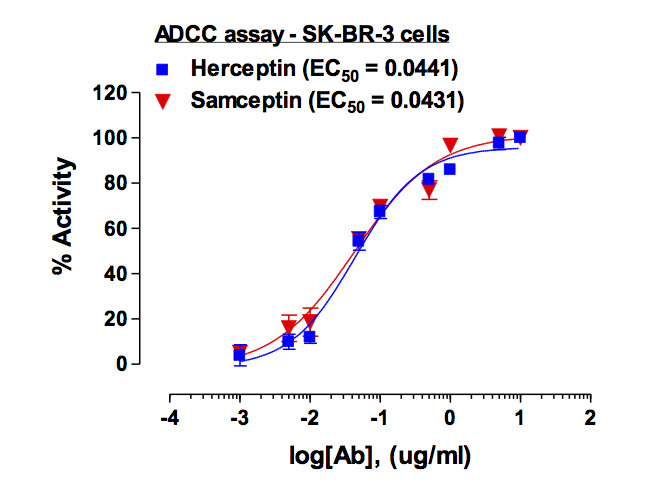 The acidic keratins have molecular weights (MW) of 56.5, 55, 51, 50, 50 , 48, 46, 45, and 40kDa. 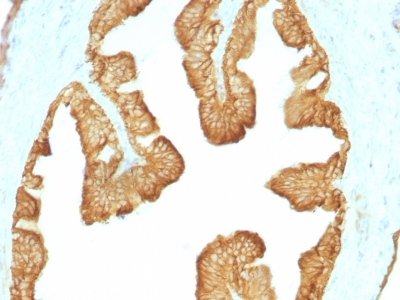 Many studies have shown the usefulness of keratins as markers in cancer research and tumor diagnosis.